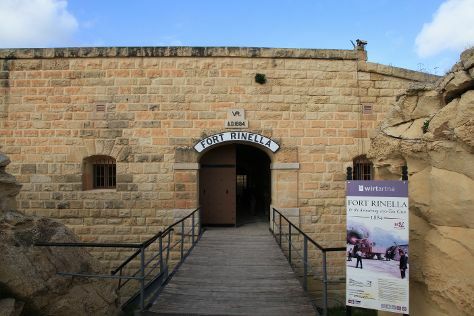 Start off your visit on the 2nd (Wed): take in the spiritual surroundings of St. John's Co-Cathedral, brush up on your military savvy at Fort Rinella, then explore the striking landscape at Blue Grotto (Il-Hnejja), then witness the site of a historic battle at Lascaris War Rooms, and finally brush up on your military savvy at Fort St Elmo - National War Museum. To find more things to do, maps, ratings, and more tourist information, use the Valletta trip planning app . Sao Paulo, Brazil to Valletta is an approximately 18.5-hour flight. You can also do a combination of bus and flight. The time zone changes from Brasilia Time to Central European Time, which is usually a 4 hour difference. Expect a daytime high around 30°C in October, and nighttime lows around 22°C. Finish your sightseeing early on the 2nd (Wed) so you can travel to Palermo. On the 3rd (Thu), admire the masterpieces at Museum of tiles Stanze al Genio, admire the masterpieces at Museo archeologico regionale "Antonino Salinas" Polo regionale di Palermo per i Parchi e i Musei Archeologici, then enjoy the sand and surf at Spiaggia di Mondello, then admire the striking features of Norman Palace and Palatine Chapel, and finally pause for some serene contemplation at Cattedrale di Palermo. To see traveler tips, more things to do, ratings, and other tourist information, read our Palermo route planner. Traveling by flight from Valletta to Palermo takes 4 hours. Alternatively, you can do a combination of flight and bus; or do a combination of ferry and car. Cap off your sightseeing on the 3rd (Thu) early enough to travel to Kamari. Kamari is a coastal village on the southeastern part of the Aegean island of Santorini, Greece, in the Cyclades archipelago with a population of approx. Get in touch with nature at Red Beach and KAMARA BEACH. You'll explore and learn at Monastery of Profitis Ilias and Museum of Prehistoric Thera. Venture out of the city with trips to Amoudi Bay (in Oia) and Santo Horse Riding (in Akrotiri). There's lots more to do: enjoy the sand and surf at Perissa Black Sand Beach, view the masterpieces at S.M.A.G Spira Marble Art Gallery, explore the striking landscape at Skaros Rock, and delve into the distant past at Akrotiri. Plan my trip to Kamari with suggested itineraries provided by Inspirock. You can fly from Palermo to Kamari in 6.5 hours. Alternatively, you can do a combination of bus and flight; or do a combination of train, ferry, and car. Due to the time zone difference, you'll lose 1 hour traveling from Palermo to Kamari. In October in Kamari, expect temperatures between 27°C during the day and 20°C at night. Finish your sightseeing early on the 6th (Sun) so you can travel to Athens. 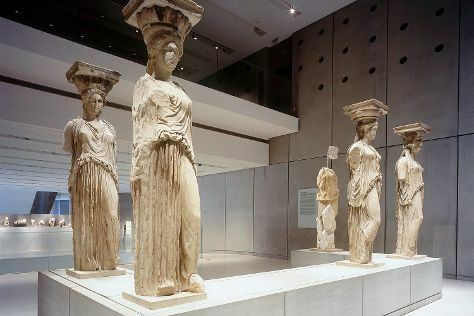 You'll explore and learn at Acropolis Museum and Byzantine & Christian Museum. Visit Glyfada Beach and Legrena Beach for some beach relaxation. Step out of Athens with an excursion to Attica Zoological Park in Spata--about 32 minutes away. There's lots more to do: admire the masterpieces at National Archaeological Museum, take a stroll through Plaka, explore the striking landscape at Areopagus, and get a dose of the wild on a nature and wildlife tour. For other places to visit, where to stay, photos, and more tourist information, go to the Athens travel itinerary planner . Traveling by flight from Kamari to Athens takes 4.5 hours. Alternatively, you can do a combination of ferry, taxi, and flight; or ride a ferry. October in Athens sees daily highs of 28°C and lows of 18°C at night. Wrap up your sightseeing on the 10th (Thu) early enough to travel to Pompeii. Escape the urban bustle at Fornillo and Sentiero degli dei (Path of the Gods). 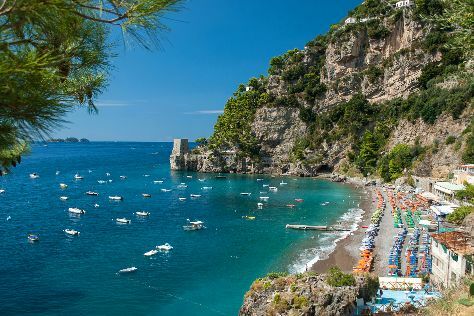 We've included these beaches for you: Spiaggia di castiglione and Lido di Ravello. Venture out of the city with trips to Vietri sul Mare (Sol’Art Ceramiche, Museo della Ceramica, & more), Amalfi (Fontana sant'Andrea, Duomo di Sant'Andrea, & more) and Chiesa di San Salvatore de Birecto (in Atrani). The adventure continues: delve into the distant past at Gli Scavi Archeologici di Pompei, view the masterpieces at Ceramiche d'Arte Carmela, examine the collection at Museo Roberto Papi, and make a trip to Villa Rufolo. For maps and tourist information, go to the Pompeii online tour itinerary planner . Getting from Athens to Pompeii by flight takes about 5.5 hours. Other options: do a combination of flight and train; or take a bus. You'll gain 1 hour traveling from Athens to Pompeii due to the time zone difference. October in Pompeii sees daily highs of 27°C and lows of 17°C at night. Cap off your sightseeing on the 14th (Mon) early enough to catcht the bus to Naples. Naples is the capital of the Italian region Campania and the third-largest municipality in Italy after Rome and Milan. Step out of the city life by going to Francesco (Frank) Carpegna - Walking with the Gods and Lido Marina Beach. Visit Il Gabbiano and Lido delle Rose for some beach relaxation. There's lots more to do: take your sightseeing to a higher altitude at Vesuvio, admire the masterpieces at Chiesa dei Santi Filippo e Giacomo - Complesso Museale dell'Arte della Seta, contemplate in the serene atmosphere at Museo Cappella Sansevero, and kick back and relax at Riva Fiorita. To find where to stay, ratings, more things to do, and more tourist information, read our Naples tour itinerary planning app . Naples is very close to Pompeii. In October, plan for daily highs up to 27°C, and evening lows to 17°C. Wrap up your sightseeing on the 17th (Thu) early enough to take a train to Rome. You'll enjoy a bit of beach vacationing at Stabilimento Balneare le Palme and V Lounge Beach Club. Step out of the city life by going to Passeggiata di Gianicolo and Parasailing & Paragliding. There's still lots to do: admire the masterpieces at Vatican Museums, admire the local landmark of Trevi Fountain, take in the spiritual surroundings of Sistine Chapel, and delve into the distant past at Palatine Hill. For photos, maps, reviews, and more tourist information, read Rome trip website . Getting from Naples to Rome by train takes about 1.5 hours. Other options: drive; or take a bus. In October in Rome, expect temperatures between 26°C during the day and 15°C at night. Wrap up your sightseeing by early afternoon on the 22nd (Tue) to allow enough time to travel back home.